In a few short weeks former Prime Minister Helen Clark will become head of the United Nations Development Program-controlling an annual budget of $9 billion and 7,000 staff operating in more than 130 countries. For decades the United Nations has been accused of using Western taxpayer's money to finance third world radical movements. Helen Clark's new job would be an ideal position for someone wanting to fund and support revolution. What is Helen Clark's background? Just how radical was our Prime Minister? Helen Clark became a far left radical during her time at Auckland University from 1968 to the early '70s. She recalled her time as a student at the University of Auckland from 1968...when student demonstrations rocked Europe and the United States. In New Zealand students were involved in opposing the Vietnam War and Helen Clark said she joined the student executive of the Halt All Racist Tours organisation when it was formed in 1970. Halt All Racist Tours (HART) was a Maoist led organisation-founded by Auckland University radical Trevor Richards. The name itself was dreamed up by long time Communist Party member and pro-Mao Maori radical Tama (Tom) Poata. Trevor Richards was inspired to set up a new group to oppose the proposed 1970 Springbok Tour of NZ after attending a meeting with South African anti Apartheid campaigner, Dennis Brutus. According to Geoff Chapple writing in "The Tour" (p11, the organising meeting was held in July 1969. "It included in its membership CARE, the Student Christian Movement, the NZ Federation of Maori Students, the NZUSA, the Socialist Forum, and the Maori Organisation On Human Rights, whose secretary, Tom Poata, drove up from Wellington and suggested a name: Halt All Racist Tours - HART." Richard's remained chairman of HART from its foundation, until 1980 and remained International Secretary until 1985. While downplaying communist influence at the time Richards confessed in his book "Dancing On Our Bones" (p 210) "In the late 70s, a number of people within HART and its leadership including myself, were sympathetic to what was referred to as Marxist-Leninist-Mao Tse Tung Thought". In February 1975, Trotskyite, Russell Johnson wrote in Socialist Action on the rival Maoists plan to cease publishing their newspaper, "Maoists discuss dumping'The Paper'". Johnson claimed that "The Paper" was founded 18 months ago by "Wellington adherents of Stalin and Mao" and went on to name names Trevor Richards (HART) and Joris de Bres as "The Paper" supporters. Joris De Bres, a long time marxist radical was appointed as New Zealand Race Relations Conciliator, by the Clark Labour government in 2002. Another leading HART Maoist was Richards' number 2 man, HART deputy leader Mike Law, 1974 "The Paper" business manager, now a Waikato University academic. "She was at university when people like Trevor Richards (Halt All Racist Tours) were there. Another she was close to was Michael Law, now the director of the Centre for Labour and Trade Union Studies at Waikato University." Clearly Clark was no HART "hanger on", but was close to the organisation's leadership. This is significant, because but for the cancellation of the 1972 Springbok Rugby tour of New Zealand, HART may have become this country's first serious terrorist organisation. A friend of mine was a regular visitor to Trevor Richards' 101 Rugby Street Christchurch flat (effectively HART's national HQ) in the lead up to the tour. There he was told of plans to blow up Mt Cook Airline terminals if the 1972 tour went ahead. Mt Cook Airlines was contracted to carry the Springboks around New Zealand. He was also told that all of the Labour cabinet would be executed after the "revolution" with the exception of its two Maori members Whetu Tirikatene-Sullivan and Matt Rata. HART came under heavy police and security service scrutiny at the time and was infiltrated by at least one undercover policeman. 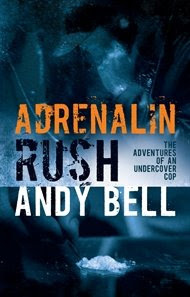 Writing in his 2007 book "Adrenalin Rush" Andy Bell (aka HART radical Andy Anderson) told (p218)of a faction of HART's leadership who planned to shoot South African Rugby board president Danie Craven-in New Zealand. Furthermore Bell was told (p221)that if Craven's killing failed to stop the tour, individual rugby players from both the All Blacks and the Springboks would be murdered until the tour was cancelled. Bell also claims (p202)to have foiled HART attempts to attack policemen with hydrochloric acid and spiked knuckledusters. Andy Bell believes that the tour was cancelled by then Labour Prime Minister Norman Kirk after a three hour intelligence briefing he personally delivered to the PM on HART's violent plans. The security services certainly took HART seriously enough to want to keep members out of any position to do with national security. In October 1974 Don Swan, a Labour party member, was sacked from his temporary storeman's job at Linton military camp as a security risk. Swan was involved in the New Zealand China Society, The Paper and served on HART's national council. Helen Clark, was also active in HART and the Labour Party, but was never sacked as a security risk. In fact Helen Clark went on to become Minister in charge of the Security Intelligence Service.